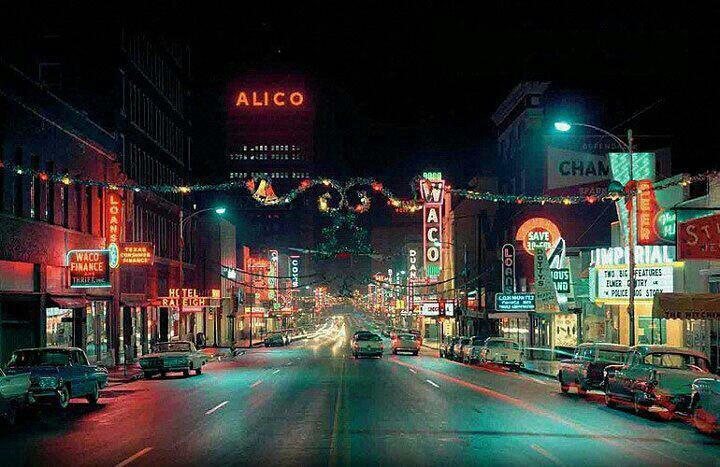 Here's a pretty photo of Waco in the 50s or 60s. I wish it still looked like that downtown! There I go romanticizing by-gone eras again. It's so hard not to. Not sure where the photo came from but this guy posted it on facebook.